Everyone knows they need insurance, but not everyone understands how much coverage they need, what possessions can and should be covered or, sometimes, why insurance is needed at all. 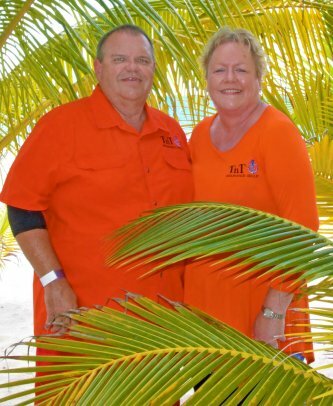 Tommy and Tammy Pameticky, the professionals at TnT Insurance Group, LLC, are ready to help clear up the confusion. The dynamic duo who are the Ts in TnT Insurance Group have been involved in the insurance industry since 1998. They understand the ins and outs of insurance, and they’ll take the time to educate you on the coverage that best meets your needs before finding the policy they feel you need. Their goal is to provide adequate and affordable coverage to all their clients. As a full-service independent property and casualty agency, TnT Insurance Group can be the anchor for all your coverage needs. The agency is located in Ketchum, but its reach extends beyond the shores of Grand Lake O’ the Cherokees. TnT Insurance Group is licensed in Arkansas, Colorado, Kansas, Missouri, Oklahoma and Texas. TnT Insurance Group recently expanded its coverage area to include Colorado. This expansion means the insurance agency can now provide residents of the state of Colorado with all their personal or commercial insurance needs. To ensure clients in Colorado receive the same great personal service the agency is known for offering, Tommy and Tammy are pleased to announced that Tom Eckhout has joined the team as a new producer. Based out of Denver, Eckhout will represent TnT Insurance Group to clients throughout Colorado. In addition to Eckhout, the growing team at TnT Insurance Group includes Brad Putnam, who is based out of the Ketchum office. Both producers are fully licensed and available to provide quotes, write new policies and offer assistance. As a member of the Independent Insurance Agents & Brokers of America, TnT Insurance Group has the resources to cover all your insurance needs, whether they are personal or commercial. Coverage is available for primary homes, seasonal homes, automobiles, RVs, travel trailers and farm equipment, as well as water and land toys, from jon boats, high performance boats and yachts to golf carts, ATVs and motorcycles. TnT Insurance Group can also provide insurance coverage for marinas, docks, barges and piers as well as for other business needs, including construction bonds, workers’ compensation, professional liability, errors and omissions, the list goes on and on. As Independent Agents, quotes are obtained from a list of insurance carriers TnT are associated with to get their clients adequate coverage at an affordable price. TnT continues to add carriers for types of coverages. You’re not just a file in a cabinet at TnT Insurance Group. TnT Insurance Group care about their clients and possessions. TnT Insurance Group is always available, office hours are 9 a.m. to 5 p.m. Monday through Thursday, 9 a.m. to 3 p.m. Friday and 9 a.m. to 1 p.m. Saturday. TnT Insurance Group LLC know their clients work hard all week. Opening the office on Saturday is just one example of how TnT Insurance Group goes above and beyond to meet their clients’ needs. Phones are monitored after regular business hours and on weekends. Or, if needed, they are happy to make an appointment with you. Just give them a call at (918) 671-6505. Don’t wait until an accident happens or you experience a loss to find out whether your insurance policy meets your needs. Call TnT Insurance Group today. They’ll review your current policies and discuss insurance coverage options with you. Buying or Selling a Home!